WE MANUFACTURE A RANGE OF ORIENTAL SAUCES, DIM SUM AND FRESH RICE NOODLES IN OUR BRC ACCREDITED FACTORY IN NORTH WEST LONDON. A SeeWoo Group Company, Way-On Foods has been manufacturing authentic, Oriental products since 1986. Our range of sauces, fresh and frozen products are popular with restaurants and retailers and can be found in Oriental supermarkets throughout the UK. 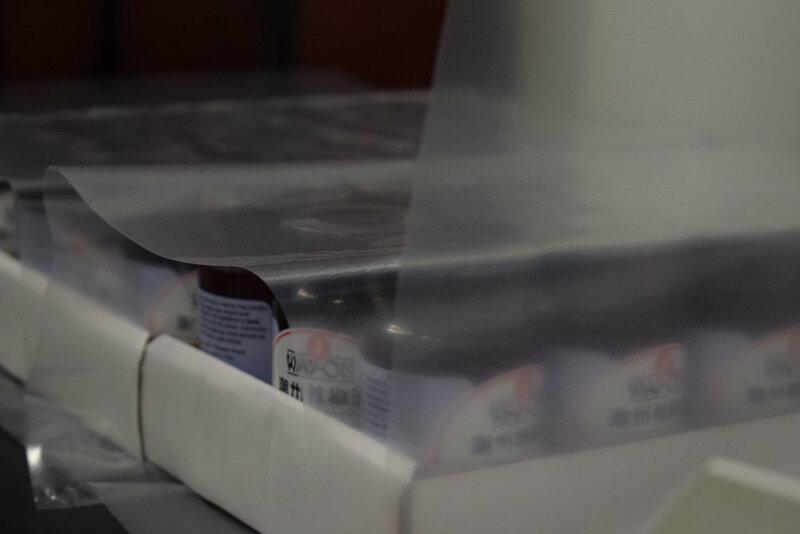 Our 24,000 sq ft factory is BRC accredited and our Food Technical and Quality Assurance team ensure that we maintain the quality of our product range and our authentic Oriental products are manufactured in a food safe environment with full ingredient traceability. We produce own label products in addition to our Way-On range and have a test kitchen where we work with customers to develop innovative, market ready products. Our South East Asian product range includes sauces, fresh and frozen dim sum, fresh vegan rice noodles and a range of fish balls, meat balls and marinated meats for hotpot style cooking. Way-On Foods has been producing its famous chilli oils, fish balls and dim sum for over 26 years. Located in a state of the art, BRC accredited factory, Way-On supplies Chinese restaurants and oriental supermarkets around the South East with its range of speciality Chinese, Malaysian, Thai and Vietnamese products. Way-On is committed to product research and development and has a special R&D facility at its new production site. Dedicated food technologists work alongside the team to ensure the quality and consistency of our products is maintained. Food safety is also high on the agenda at Way-On. With our state of the art equipment and ‘clean as you go’ policy we are committed to providing a safe production environment. Our regular visits to the Far East ensure that we stay ahead of market demands and are able to advise our customers on new Oriental food trends. At Way-On our customers needs are our top priority. We are able to offer our customers an individual service and are used to varying our product range to meet specific customer requirements. Our extensive knowledge of the oriental foods business means that we are well placed to advise on consumer tastes and trends. This is especially helpful if you are just starting to introduce Oriental ready food to your business.